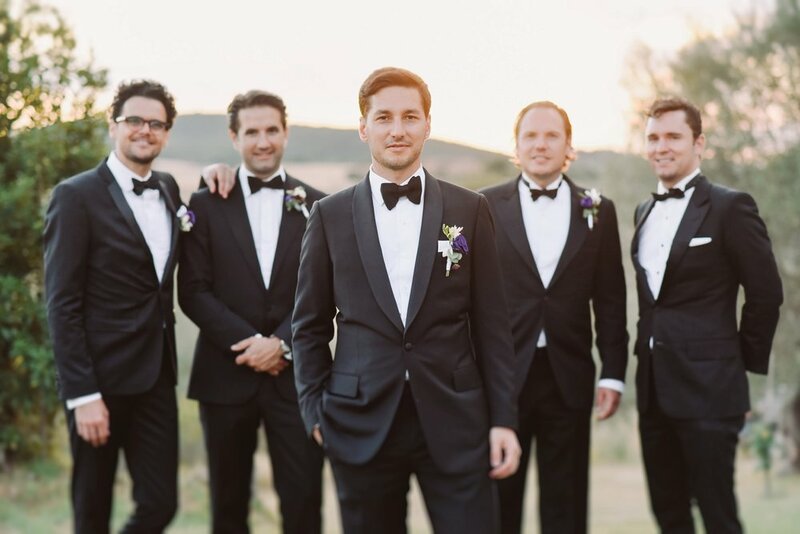 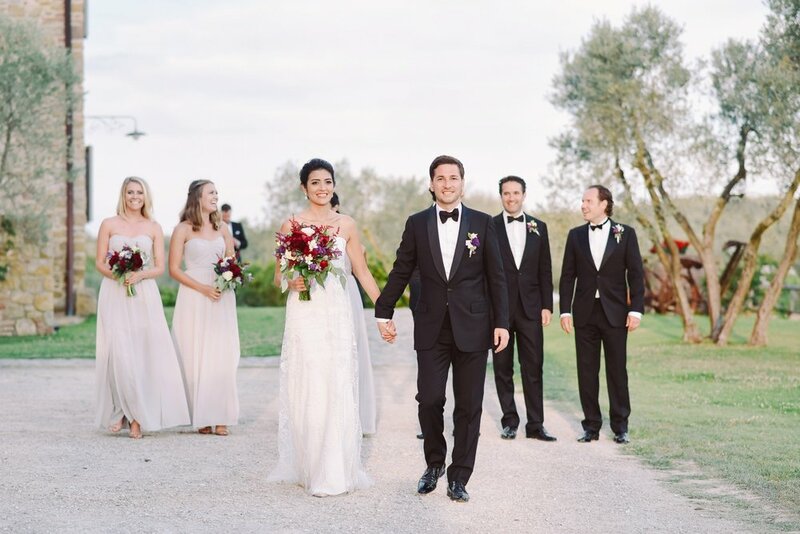 Together with their planner, Alessia B., and florists, they decided not to have too many decorations, as the location itself offered lots of stonework, terracotta pots and beautiful greenery that already perfectly decorated the place. 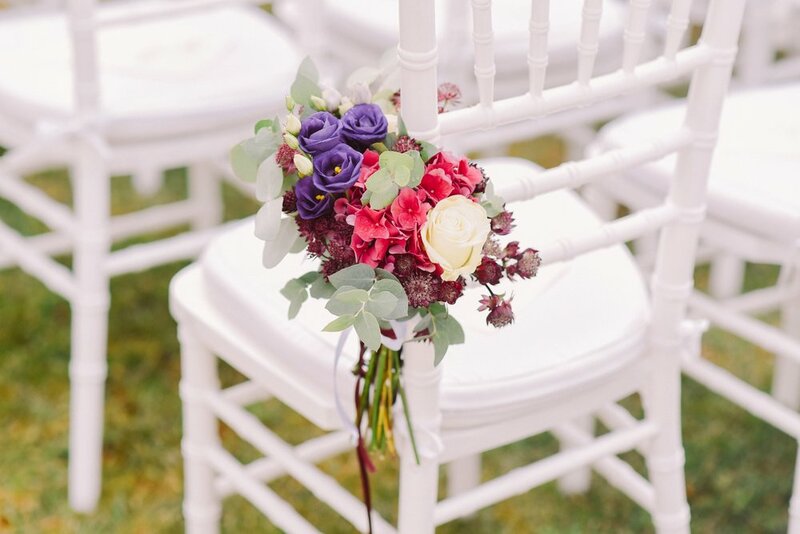 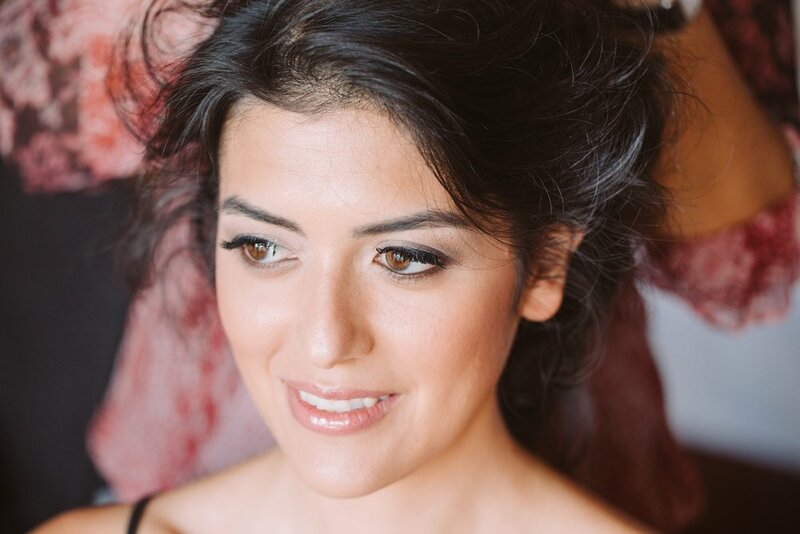 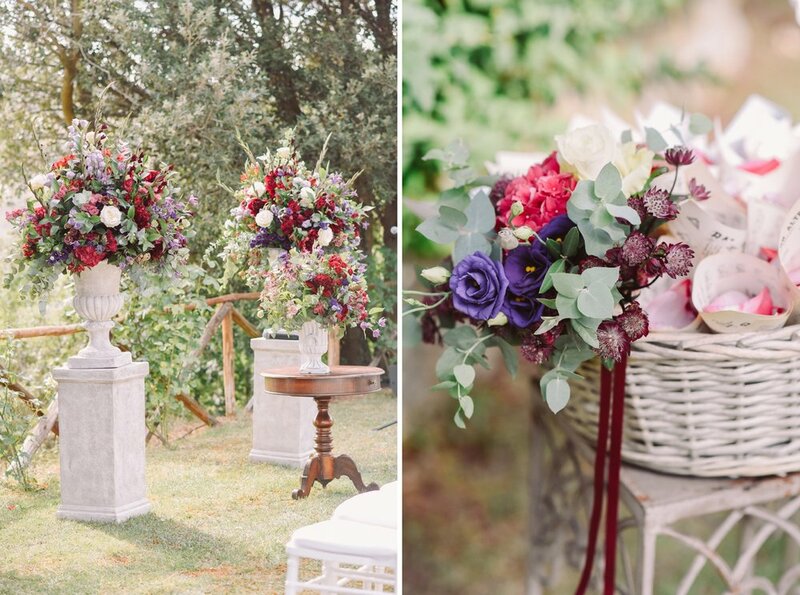 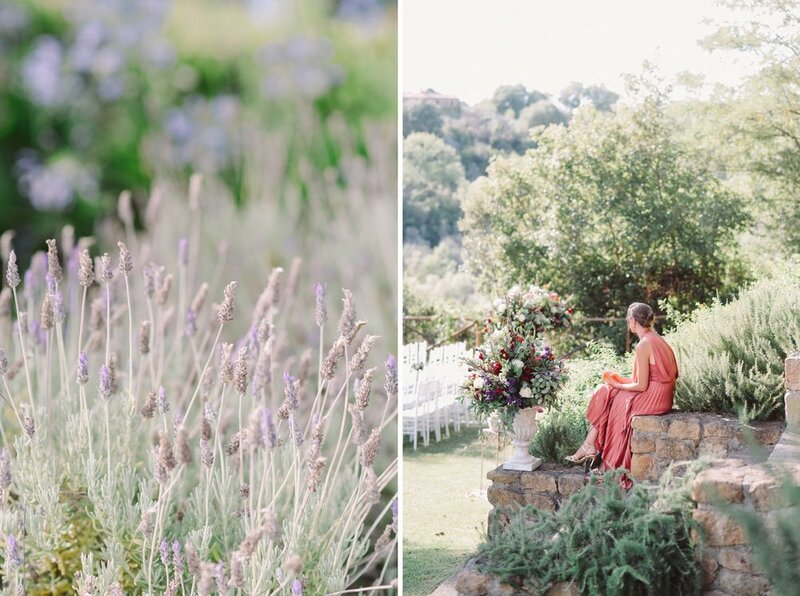 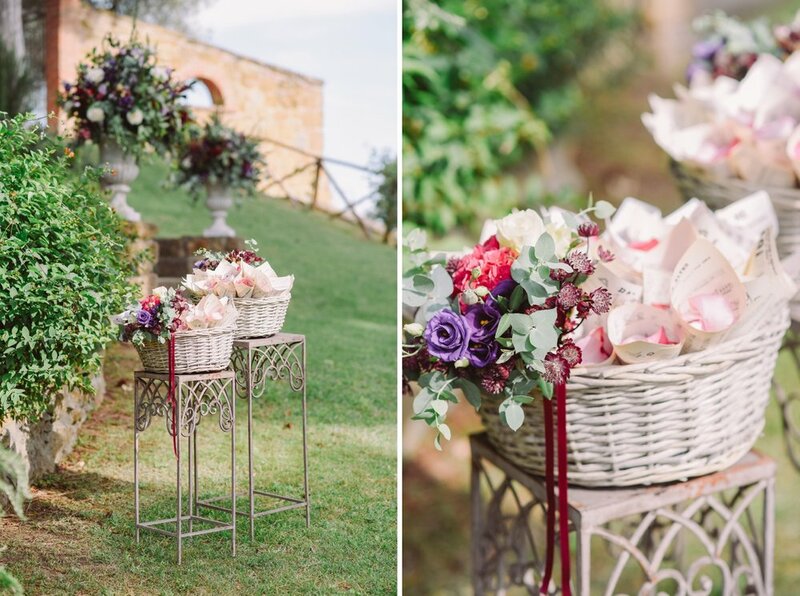 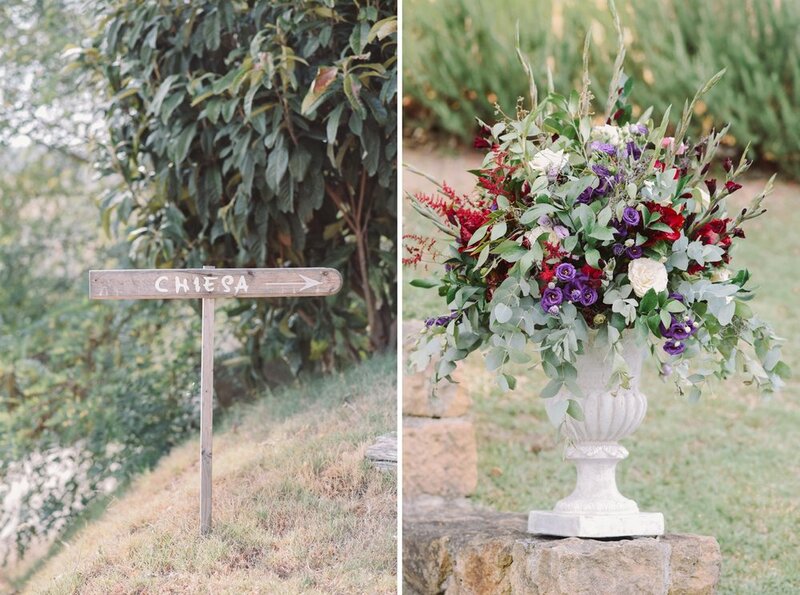 The flowers though, offered a chance to be bold: the earth tones of the venue are punctuated by bright accent colors like purple and burgundy, in the amazing stone pots during ceremony, and in the bouquets of the bride and bridesmaids. 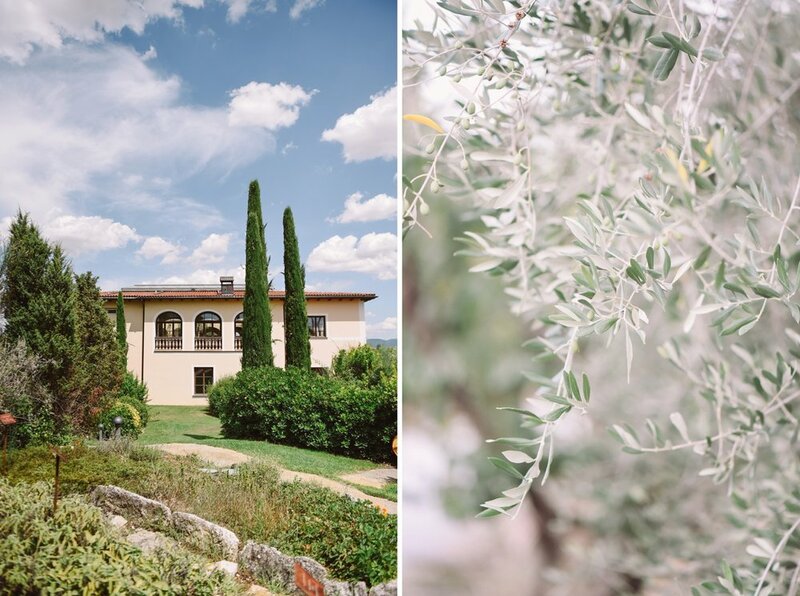 The dinner was held in front of the ancient villa, with two imperial tables and string lights to create a sweet atmosphere, that screams La Dolce Vita charm.